In conjunction with CCUSD and Council PTA, “Backpacks for Kids” runs a weekly backpack program to ensure that every child can eat on the weekends. 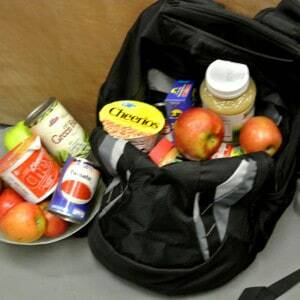 Each week, plain backpacks are filled with non-perishable food and snacks for needy children to take home anonymously over the weekend. There is no cost to participate and enrollment is 100% confidential. On November 3 and 4, the program will pass out flyers at Pavilions to request donations for the program from shoppers and then collect what is donated. It is a fun, easy way to give back to the community! If you are interested in volunteering at the Pavilions at 11030 Jefferson Boulevard on either day, please click here (www.signupgenius.com/go/10c0a4ba9a92ea6fa7-fall1) to sign up.